Size S 1/2 Titanium Wedding Ring : SALE : LOVE2HAVE in the UK! 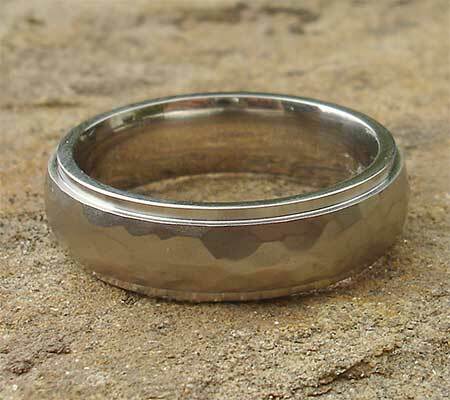 A size S 1/2 titanium hammered wedding ring. Our hammered titanium weddings rings are trendy, and this Shoulder cut, dome profile, titanium wedding ring with a hammered centre is one such example. 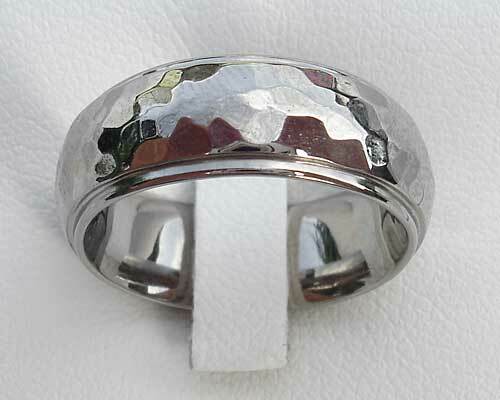 The ring measures 7mm in width, and it is available in a satin finish.